Since our previous post on Silverlake on november 2014, the stock price go on a sideway trend instead of a downtrend. 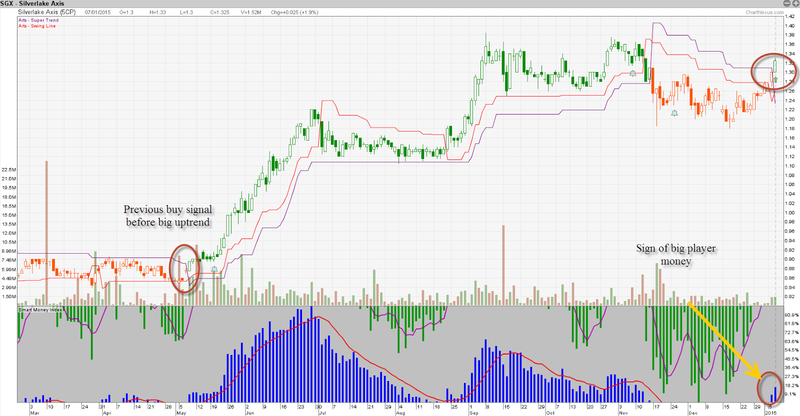 This is good as price still holding despite weak market condition. Now that we see STI is moving higher and many stock is rising along with Silverlake, lets take a look at what our Supertrend system says. Our Supertrend System show that there is a change in Trend, the candlestick change from Orange to Green, this show that the price might continue to be bullish for mid term.